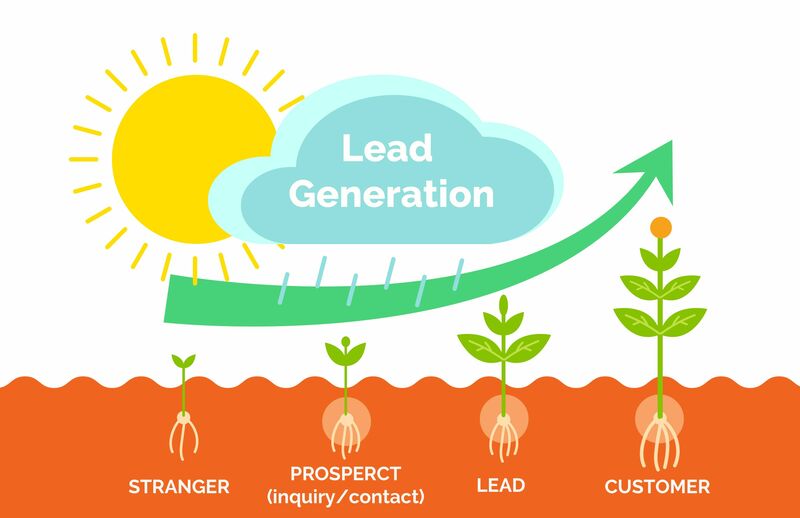 Lead Generation is the action or process of identifying and cultivating potential customers for a business’s products or services. 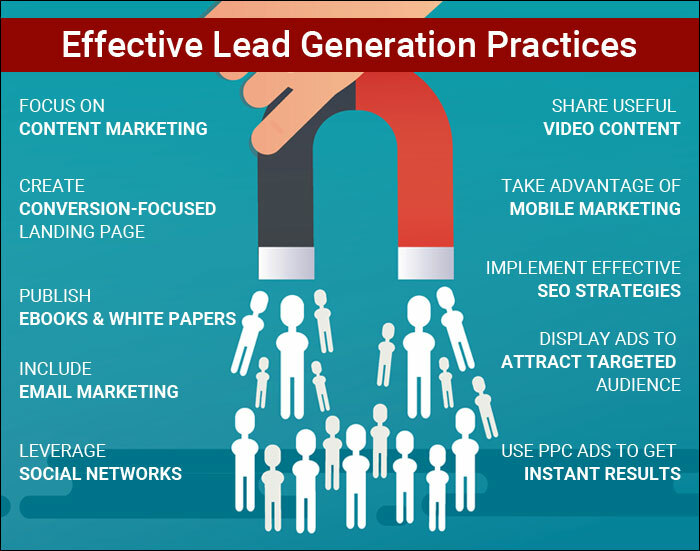 Lead generation is the initiation of consumer interest or inquiry into products or services of a business. We work with your sales team to identify strategies that have the greatest chance of a lead generation. Leads can be created for purposes such as list building, e-newsletter list acquisition or for sales leads. It is the process of finding people i.e. leads who’re likely to become your customers immediately or in the future. Business leads are often grouped into segments to the level of qualification present within an organization. 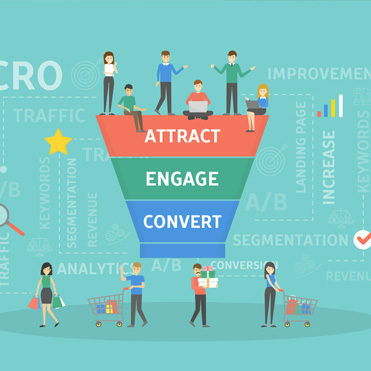 Marketing Qualified Leads are leads that have typically come through Inbound channels, such as web search or content marketing, and have expressed interest in a company’s product or service. These leads have yet to interact with sales teams. Sales Qualified Leads are leads screened by salespeople, often times Sales/Business Development Representatives or Pre-Sales Teams, for appropriate qualifying criteria to be followed-up with. Qualifying Criteria include need, budget, capacity, time-frame, interest, or authority to purchase. 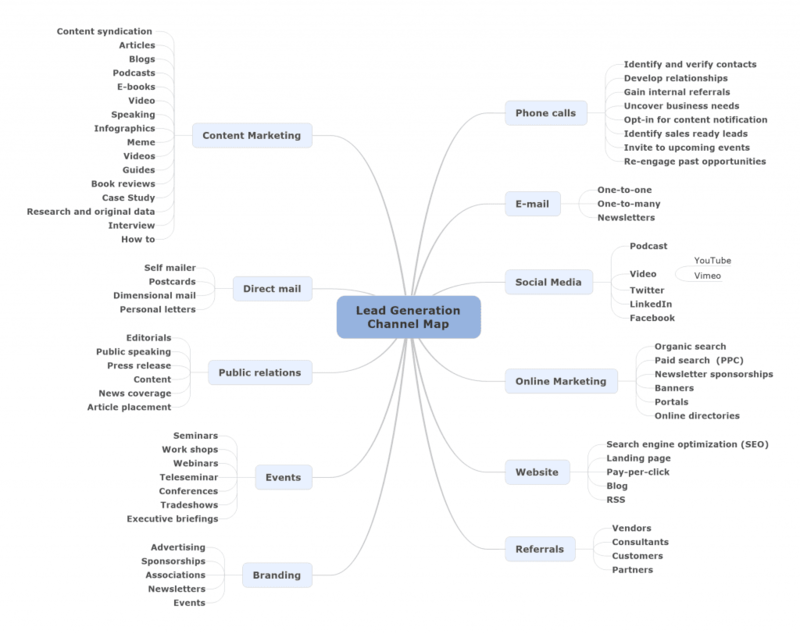 There are two channels of lead generation: inbound and outbound. Both channels are obviously aimed at generating leads for your business. The inbound method attracts leads using online content. We create a website, or we write a blog, and we optimize it for online search through SEO techniques. This means the content has the appropriate keywords and answers the questions of our target audience. When our content is easily discoverable and begins to engage our readers, they become our leads. In inbound lead generation, we educate our target audience through a carefully planned content strategy. This takes time but involves very little budget spend. Two keywords here: content and SEO and the domain is largely digital. 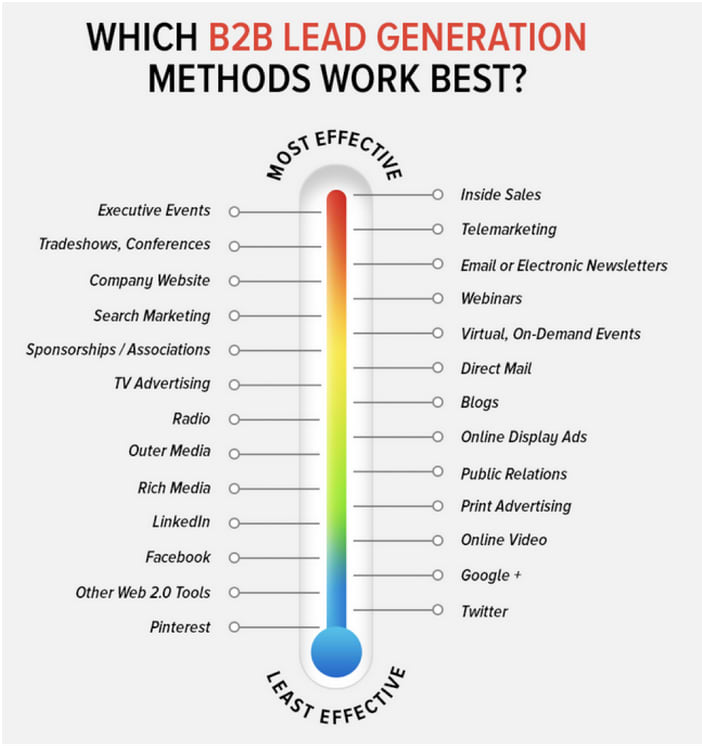 Lead generation falls within the second stage of the inbound marketing methodology. It occurs after we’ve attracted an audience and are ready to convert those visitors into leads for our sales team. Generating leads is a fundamental point in an individual’s journey to becoming a delighted customer. The outbound method involves a proactive attempt to reach out to our audience. This usually begins with purchasing lead lists. We then contact these leads by calling them directly (cold calling) or sending them physical mails (direct mail). The emphasis here is on the budget, media connections, and how much marketing muscle we can flex. 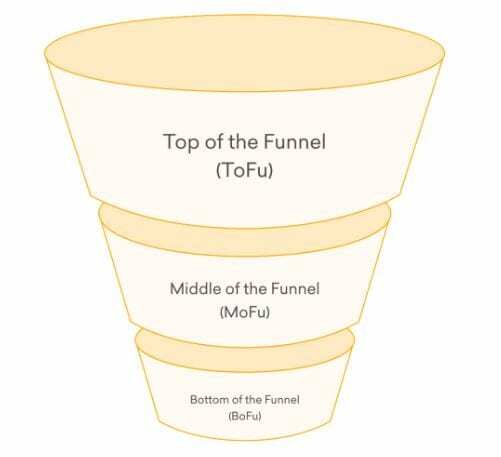 ToFu: Leads at the top of the funnel need awareness. They know nothing about what we offer and what domain we operate in, so we’ll need to create a conversation around both these focus points—without selling our product up front. MoFu: Leads in the middle of the funnel need nudging. They’re not completely clueless about what we do, but they’re not ready to buy either. They have many questions about our business, and they’re also starting to compare us with the competition. BoFu: Leads at the bottom of the funnel need our product/service. They’re past the education stage, they know exactly what we can give them, and now we’re making a clear pitch. This is the right time to offer a trial, demo, or a discount and bring them into our business. The leads that get to this stage are way fewer than those who step into the funnel, so we need to ensure that we offer maximum value here. Lead generation is often paired with lead management which is to move leads through the purchase funnel. A lead is usually allotted to an individual to follow up on. Once the individual i.e. the salesperson reviews and qualifies it to have the potential business, the lead gets converted to an opportunity for a business. The opportunity then has to undergo multiple sales stages before the deal is won. A lead usually is the contact information and in some cases, demographic information of a customer who is interested in a specific product or service. We can generate leads organically and/or by spending money, depending on our resources. Leads may come from various sources or activities, for example, digitally via the Internet, through personal referrals, through telephone calls either by the company or telemarketers, through advertisements, and events. The respondents cited email as the most-used channel for generating leads, followed by content marketing, search engine, and finally events. Lead scoring is a way to qualify leads quantitatively. Using this technique, leads are assigned a numerical value or score to determine where they fall on the scale from ‘interested’ to ‘ready for a sale’. Marketing departments these days are allocating more budget to lead generation tactics. Companies are finding more creative ways to break through the noise and reach the customer through lead generation research. 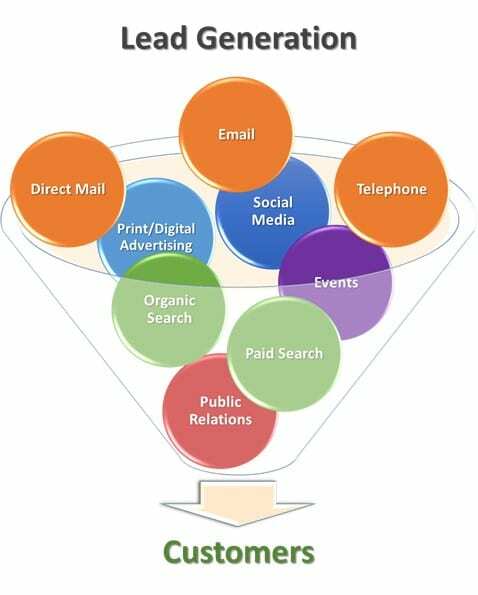 Online lead generation is an Internet marketing term that refers to the generation of prospective consumer interest or inquiry into a business’s products or services through the Internet such as by using Social Media, Email Marketing, Display Advertising, etc. Depending on our business, every social media platform can be a precious lead generation channel. Facebook, Twitter, Instagram, and Snapchat are essential for B2C; LinkedIn is elementary for B2B. With email, we get to initiate a one-to-one conversation with our recipient, while sharing a blog, inviting them for a webinar, informing them about a product update, or offering a discount. Webinars require people to share their email ID, which makes it an ideal lead gen activity. Timely webinars, with relevant topics and quality speakers, can build a brand around our business. Clicking on a PPC ad takes the visitor to a landing page, which collects the lead’s information. PPC ads work because they contain keywords relevant to our audience, plus they appear on page one of Google. We help you with your lead generation efforts by providing quality leads such that your sales team is able to move fast through the sales process towards a sales closure. Apart from the online lead generation we also engage in telemarketing to generate leads.